Here are 20 Premium WordPress eCommerce themes that work either seamlessly with WordPress ecommerce plugins or have ecommerce capabilities built into them. 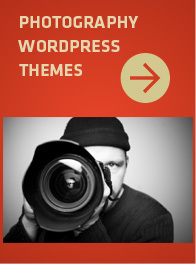 If you are looking for a WordPress shopping cart theme look no further. These are the most popular ecommerce themes around for wordpress. Here they are in no particular order. Threaded comments, ad ready, widget ready sidebars, custom thumbnail images, five color schemes and psd files included. Built in shopping cart feature that requires no plugins. Includes Lightbox, 5 shopping cart colors, custom banner text, related products, auto product image thumbnails, featured post, jQuery product sliders, jQuery shopping cart. Shopping cart features payment options, product options, multiple currencies, custom write panels and more. Fully compatible with WP Ecommerce plugin. New custom post types for slider, portfolio, products and testimonials. Auto image resizing, custom widget, jQuery cycle, 4 sidebar positions, 7 page templates, multi level dropdown menu, psd files included. Well documented. 3 column, simple theme for OpenCart. Easy editing. CSS, Html, JS, PHP and layered psd files included. Easy setup and maintenance. Works with PayPal/Credit Card. User reviews, 8 built-in widgets, multi-level dropdown navigation, featured products banner rotator, orders tracking, entirely settable via theme options page, 3 different home page layoouts and more. One click auto install. Different shopping cart modes, easy product management, multiple payment gateways, guest checkout available, coupon codes can be generated, many customizable parameters, affiliate module, blog and more. 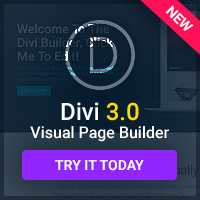 30 widget ready sections, 22 custom widgets, flexible product display, optional blog, customer wishlist. One click auto install, different shopping cart modes, easy product management, multiple payment gateways, coupon codes, affiliate module, multiple product images and more. Translation ready. 34 custom widgets, 34 widget ready sections, products with video/audio and images, frontend customer login, customer wishlist and more. Custom post type for slider and testimonials. 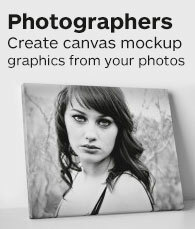 Auto image resizing, 6 page templates, custom widget, jQuery slider, jQuery Prettyphoto, multi level dropdown menu. Well documented, psd files included. Paypal integration, easy product edit, widgetized pages, custom inputs, order management. Lifetime updates included. One click auto install, easy to use, different shopping cart modes, easy product management, order management, shipping options, multiple payment gateways, coupon codes, affiliate mode and optional blog. Powered by WordPress and WP eCommerce plugin. Extensive set of features. Custom logo and background. One click install, different shopping cart modes, coupon codes, bulk upload, grid view/list view, manage tax, shipping options and more. Uses WP eCommerce plugin. 3 different layout types, homepage slider, featured products and posts, unlimited color and background options, 12 widget areas, 2 step checkout and more. One click auto install, different shopping cart modes, easy product management, multiple payment gateways, manage tax, guest checkout, coupon codes, bulk upload and more. The benefits of using wordpress ecommerce themes are that they're built exactly for their specified purpose… ecommerce. And they are built with specific features that work seemlesly with current wordpress ecommerce plugins. Now, you can use any of the most popular wordpress plugins to turn any wordpress theme into a storefront, but you won't get some of the cool features these themes have. Just check out the eStore theme from Elegant Themes to see what I am talking about. Coming soon will be a post on shopping cart plugins and how to use them. Also, if you know of any ecommerce WordPress themes that aren't listed here, but need to be just send me an email.